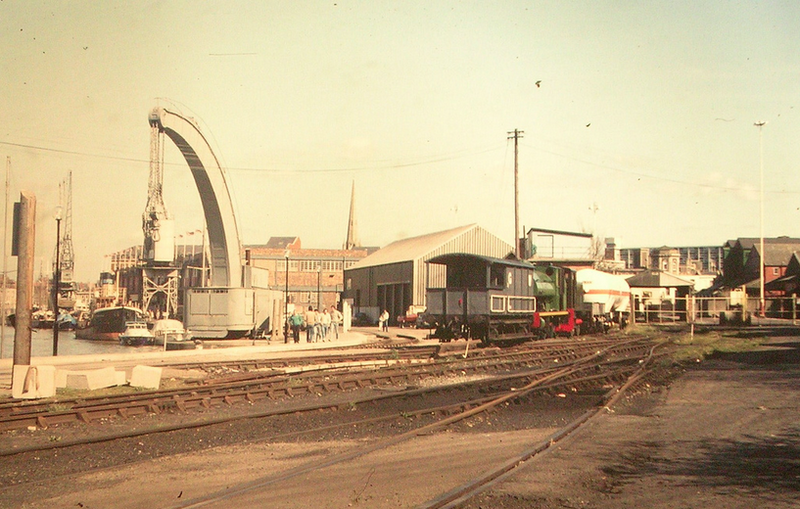 The Avonmouth Docks system utilised a large motive power stud, mainly consisting of locomotives constructed in Bristol by Avonside or Peckett. In 1939, there were some 28 steam locomotives in the fleet. 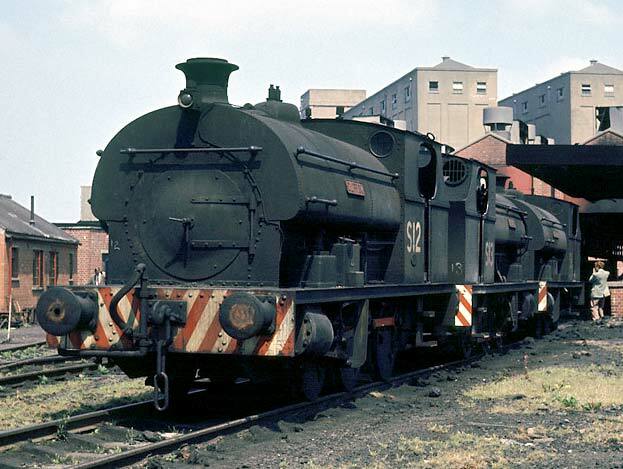 The ‘S’ prefix was added to the loco numbers by the early 1960s as diesel traction was introduced, as well as the addition of the distinctive red and white striped bufferbeams. At first a small batch of Hudswell Clarke diesels were purchased, of which D1171 ‘Western Pride’ (Later sold to Western Fuel Co., now preserved) was one. Another, No.23 ‘Merlin’ is preserved at the Keighley and Worth Valley Railway in Yorkshire, although currently out of use awaiting overhaul. In 1965 a fleet of Sentinel shunters came to the port. Finished in smart blue livery, they were direct replacements for the steam locos, which were withdrawn shortly afterward. The Sentinels worked right up until the closure of the Avonmouth Docks Railway system in 1983. 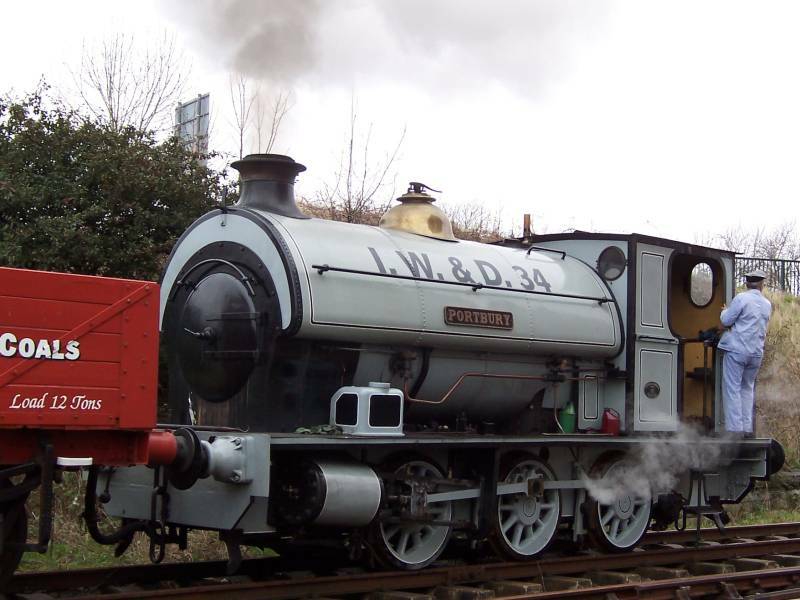 Sentinel PBA 39 is now preserved on the nearby East Somerset Railway, and has recently been restored to its original PBA livery. Also on the East Somerset Railway is PBA 42, also known as ‘Eric’, which went on to work for La Farge in Westbury, before being preserved in 2007, and is currently awaiting restoration. The photographs on this page (Unless otherwise stated) were taken by Jack Faithfull and purchased from the Rail Correspondance and Travel Society’s website. They appear here for research purposes only and may not be used for profit or gain without permission. 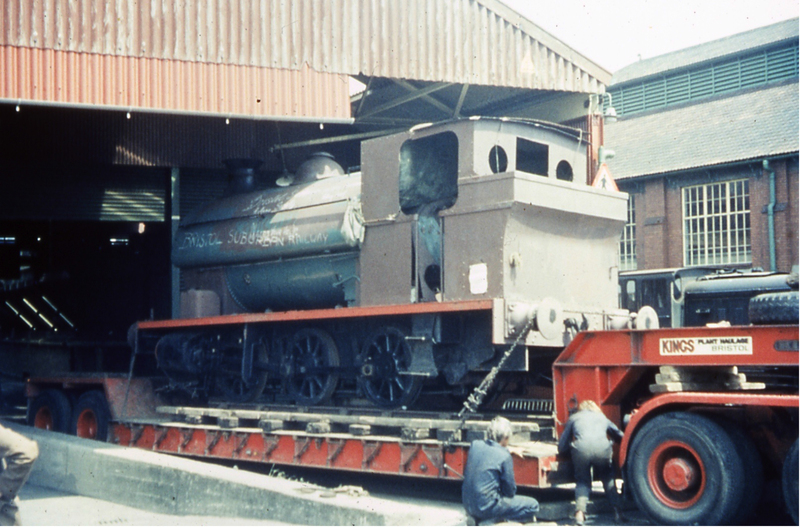 After the preservation project at Radstock closed, and before she was brought to L Shed for restoration, Portbury was stored in a warehouse at Avonmouth Docks. 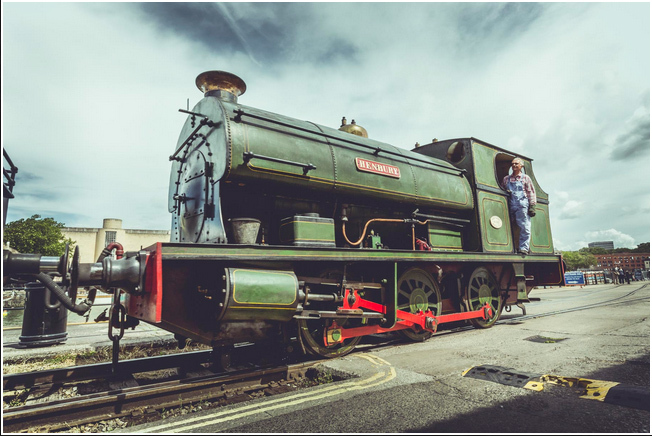 Some restoration work had been undertaken at Radstock, and the loco was re-assembled before delivery back to Avonmouth. It was to be another 10 years until she returned to steam. The photographs on this page (Unless otherwise stated) were taken by Kevin Hughes and purchased from the Rail Correspondance and Travel Society’s website. They appear here for research purposes only and may not be used for profit or gain without permission. Portbury’s Twin Needs Your Help! 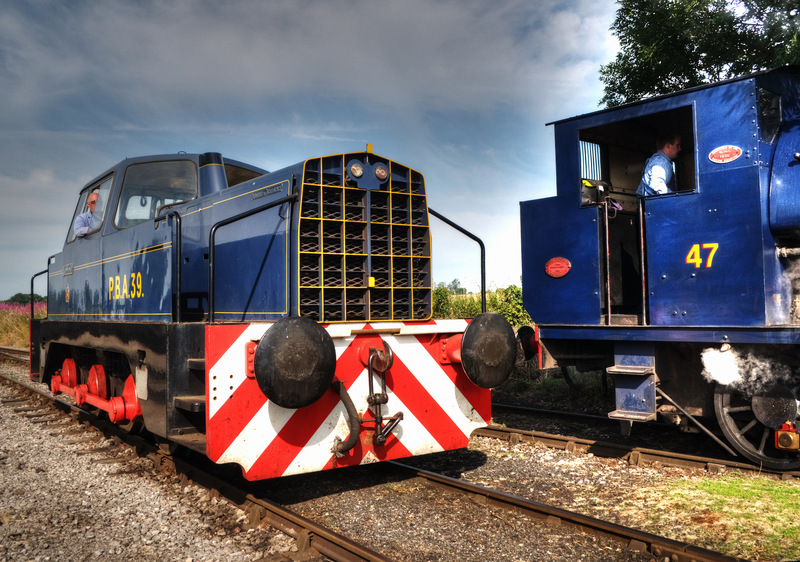 Based just a few miles away at the Avon Valley Railway is an almost identical loco to the BHR’s own ‘Portbury’, Avonside No.1798. 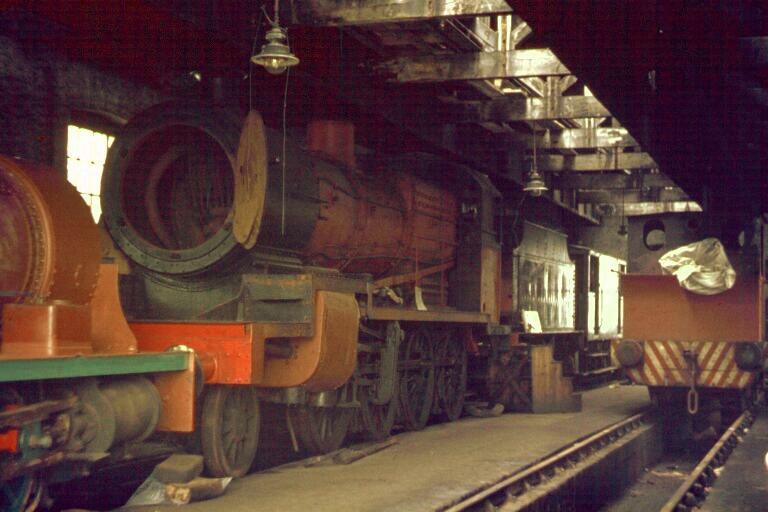 An appeal has been launched to get this locomotive restored and back in steam. 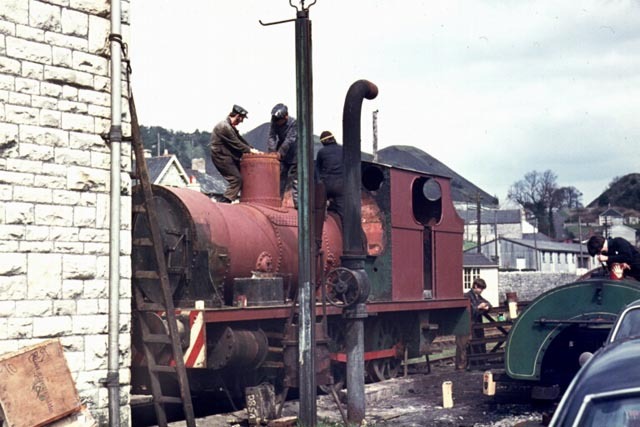 It was the first steam loco on-site at Bitton in 1973, and worked there right up until it needed a heavy overhaul in the mid 1980s. Built in 1918 at the same Bristol works as ‘Portbury’, it was delivered to the Imperial Smelting Works in Avonmouth, where it laboured away its whole working life. 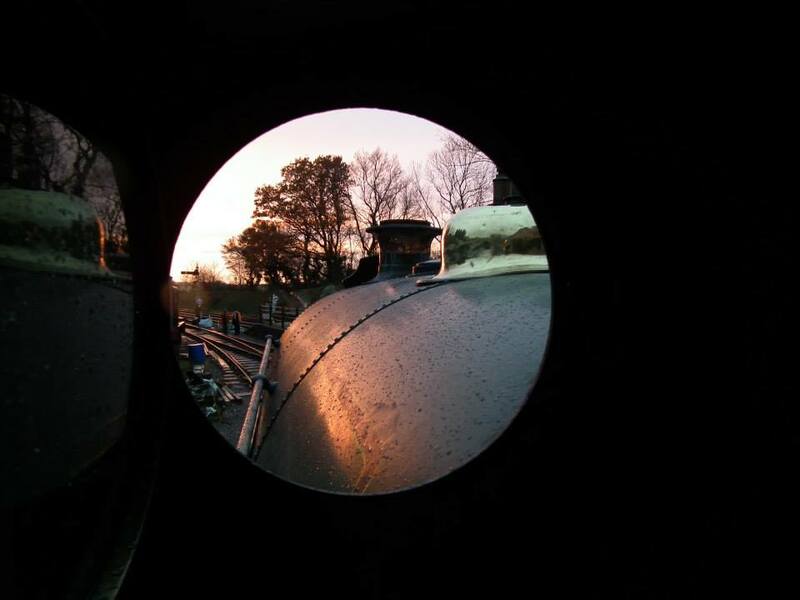 When restored at the Avon Valley Railway, the loco received a plain black livery and was named ‘Edwin Hulse’ after a founder member of the railway. 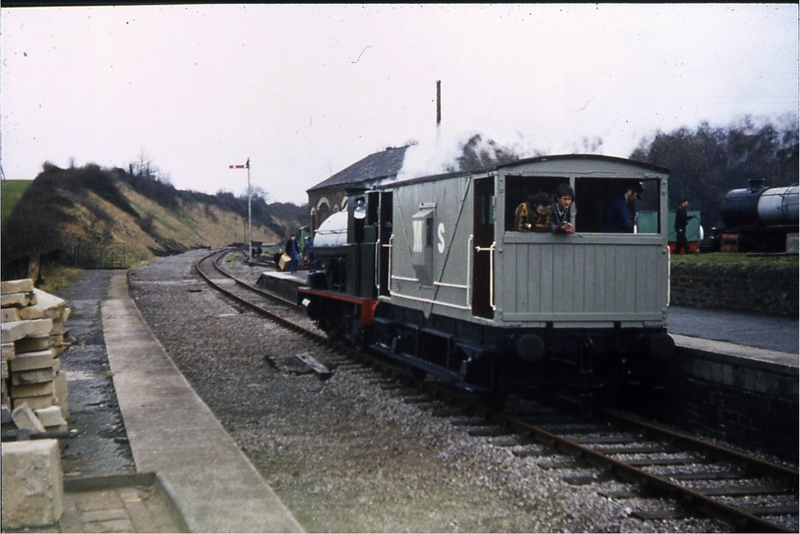 A lot has changed since 1974, but this loco has seen it all! You can help by sponsoring one of the major parts listed in this brochure (download link) or by joining the 1798 Club whereby you covenant to donate £17.98 each month by standing order for up to 24 months. Whether you sponsor a specific item or donate monthly, you will automatically become members of the 1798 Club and be entitled to a range of benefits. 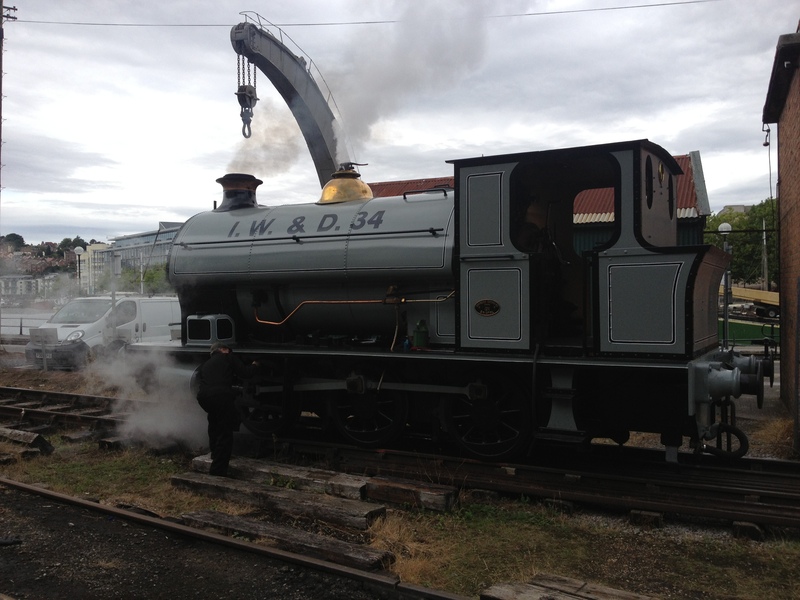 Every penny received from sponsorship or donation is spent on restoring this important engine. Further details can be obtained by downloading the leaflet. Please take a look at the official website for more details. Following up from the story of Portbury in Preservation, here are a few highlights from Henbury’s career after being withdrawn from Avonmouth shed in the 1960s. 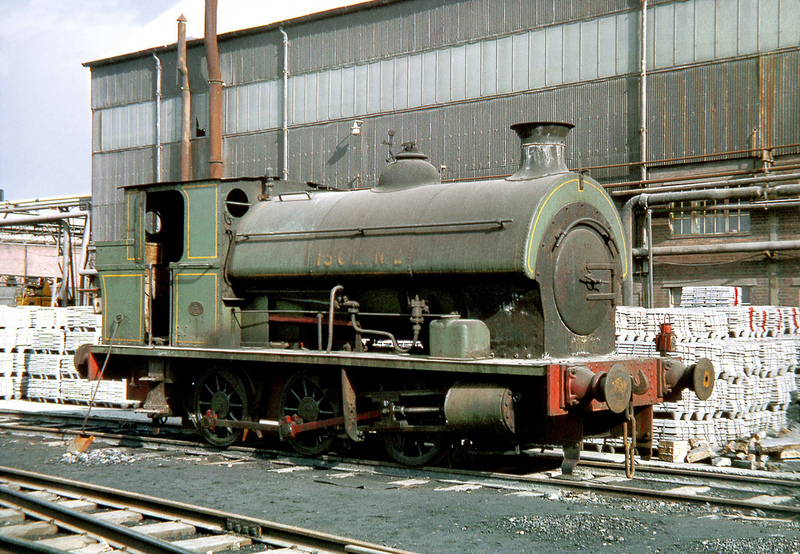 Henbury was rebuilt with the 5 year old boiler from a sister engine, and in after a spell in store, in 1972 she was located at Radstock engine shed with No.242 and Portbury. 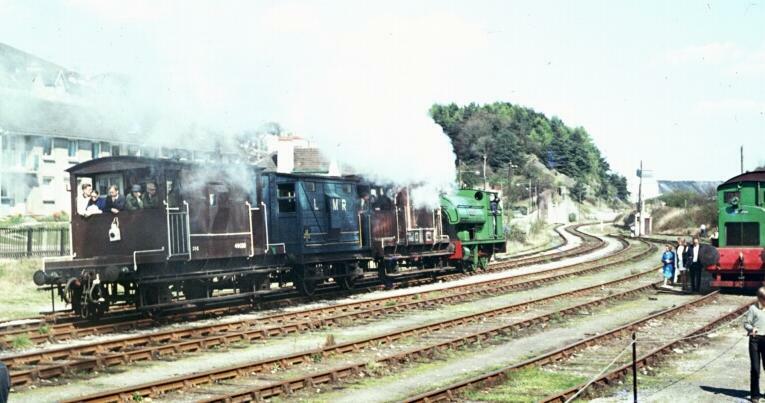 She was put to work hauling brake van specials from Radstock Station to Writhlington – a distance of approximately 1.5 miles. 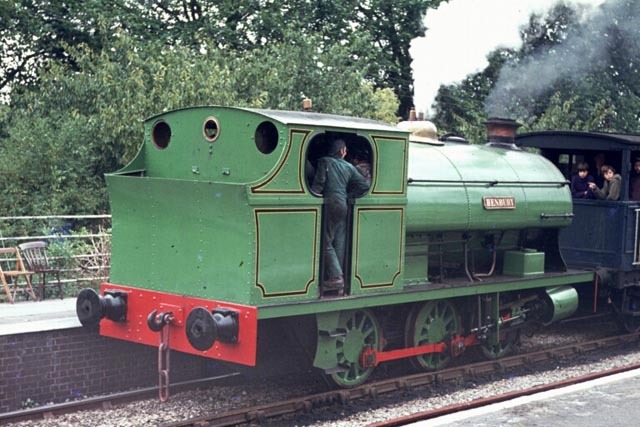 At this time she wore a partly lined out green livery (lining on the cabside and front of the saddletank only), lighter than the shade she had when withdrawn, with red buffer beams. 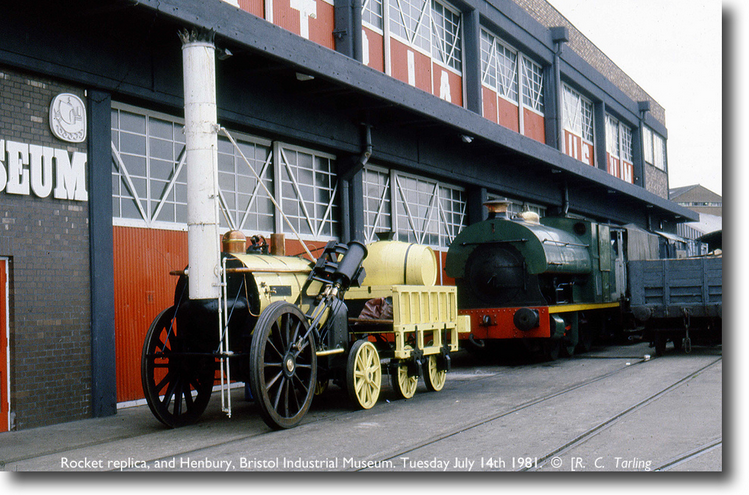 As mentioned before, the Radstock operation finished in 1975 and Henbury was homeless for a short while, until in 1978, the Bristol Industrial Museum opened. 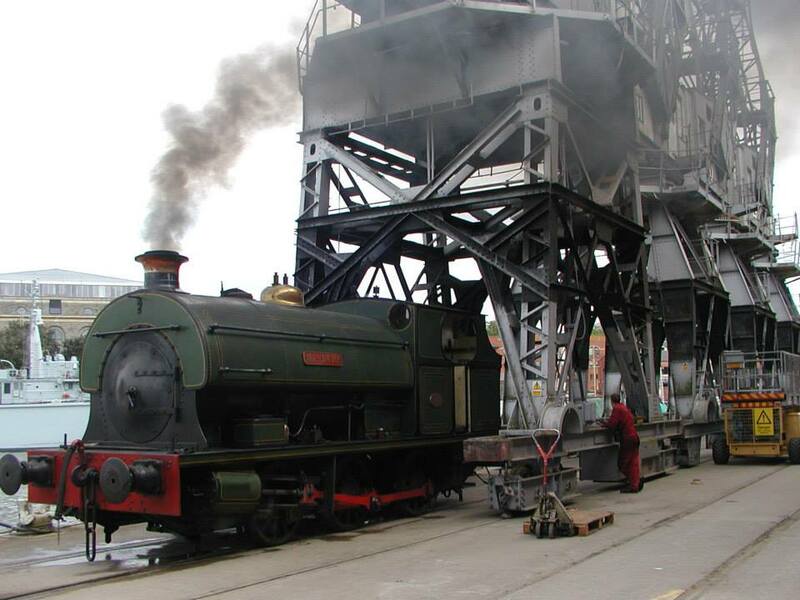 Henbury was present at the opening ceremony of the museum, and was immediately put to work pulling passenger trains on the quayside. 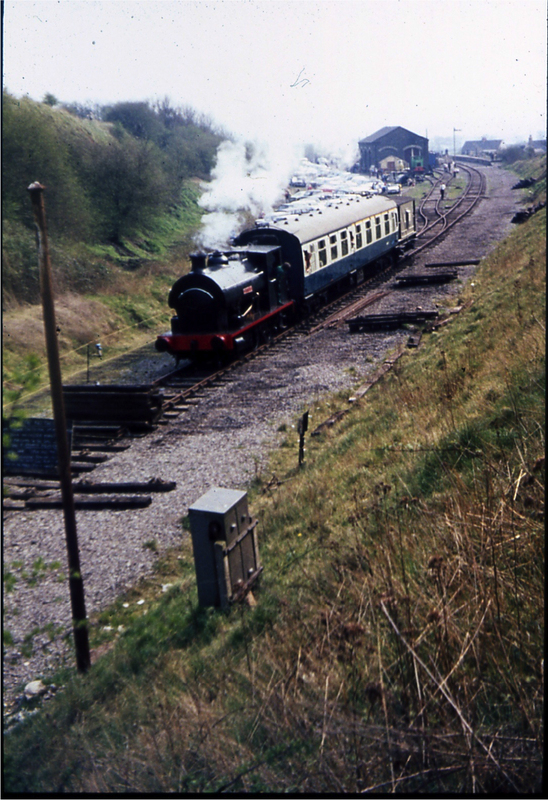 At this time, coal trains from the main line would regularly travel down to Whapping Wharf sidings, either trip worked a BR loco, or thereafter by the Western Fuel Company’s Hudswell Clark shunter. 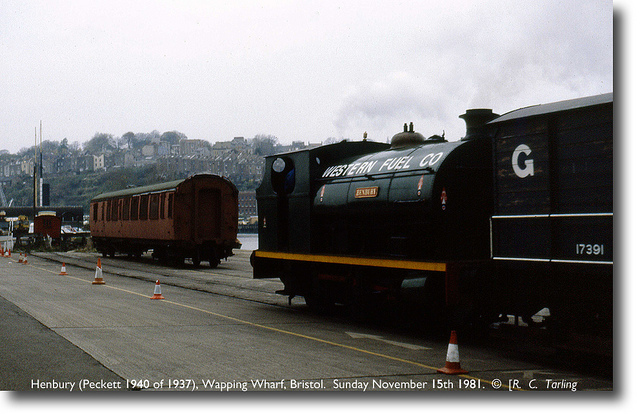 It was in 1981 that the diesel loco required repairs, the Western Fuel Co. turned to the nearby museum for assistance, and Henbury was pressed into service to keep coal coming in to Bristol, thereby becoming the first preserved steam loco to haul scheduled goods trains for British Rail. Repainted with a yellow bunker, running plate and WESTERN FUEL CO. lettering on the tank sides, she pulled full wagons from Ashton Meadows to Whapping Wharf, and empties back, for two weeks. 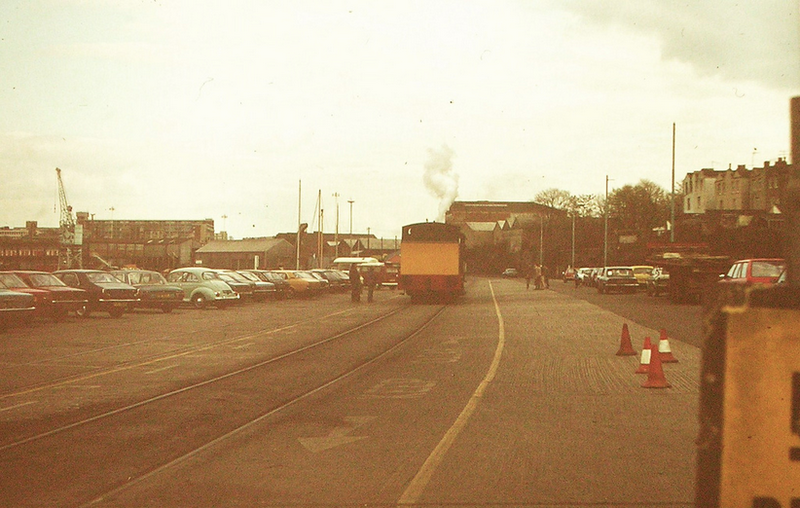 Henbury has hauled thousands of passengers over the years. 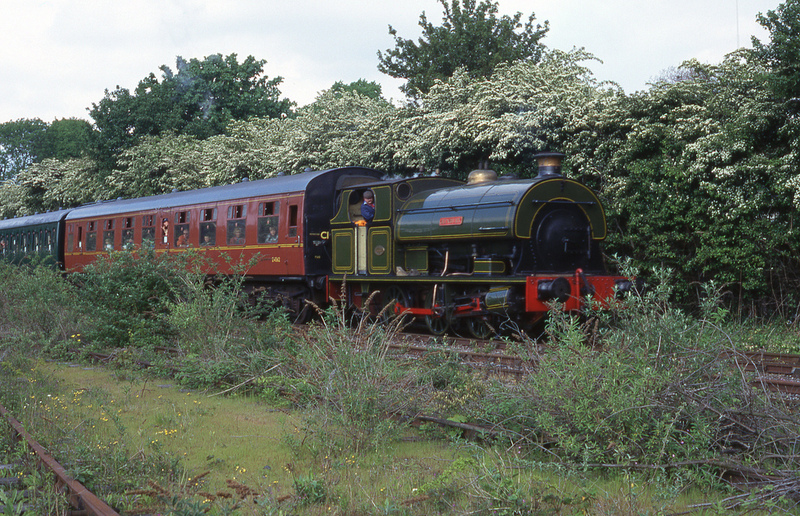 In the 1990s her livery was altered again, the lining more closely resembles that which she wore at Avonmouth, but extending over the saddle tank as well as the cab. 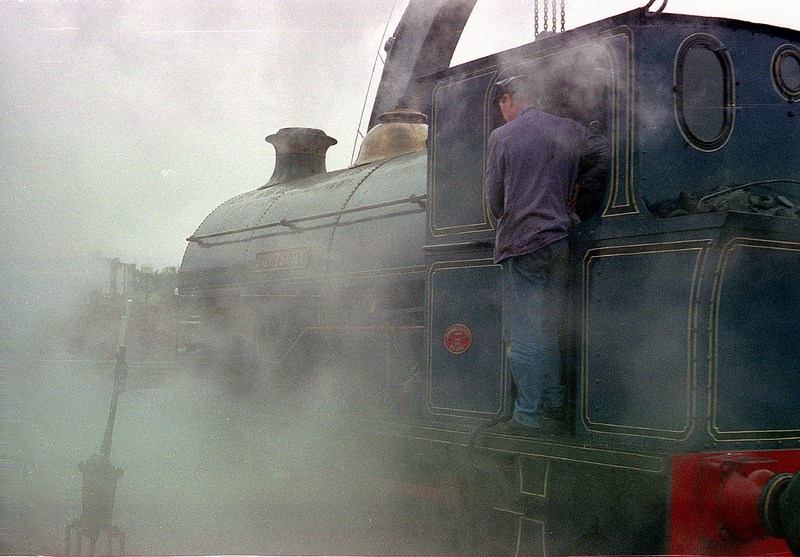 Here she is pulling BR Mk1 carriages at the Festival of the Sea in 1996, before the main line link was severed. Rob Skuse on the M Shed working exhibits page compiled a little selection of Henbury’s exploits over the past 10 years. These pictures are all copyright Rob Skuse. 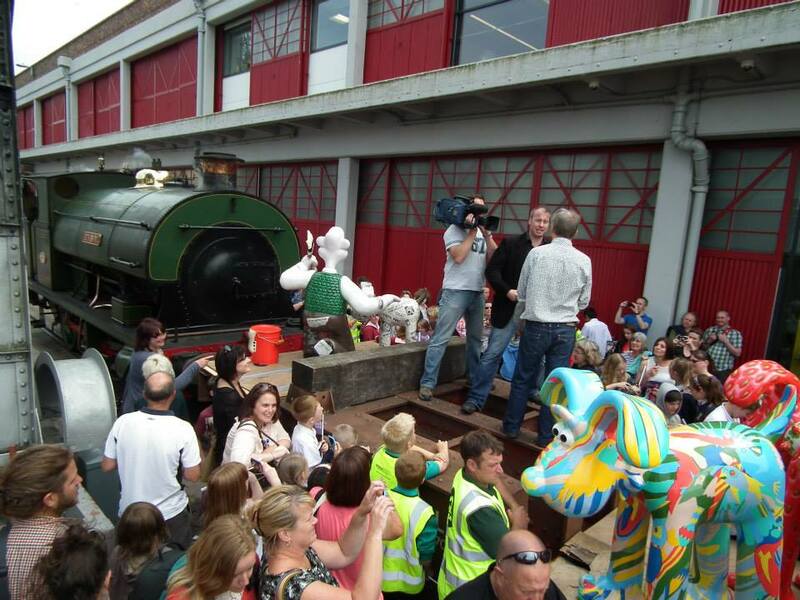 At the ‘Gromits Unleashed’ launch in 2013 with Aardman’s Nick Park. 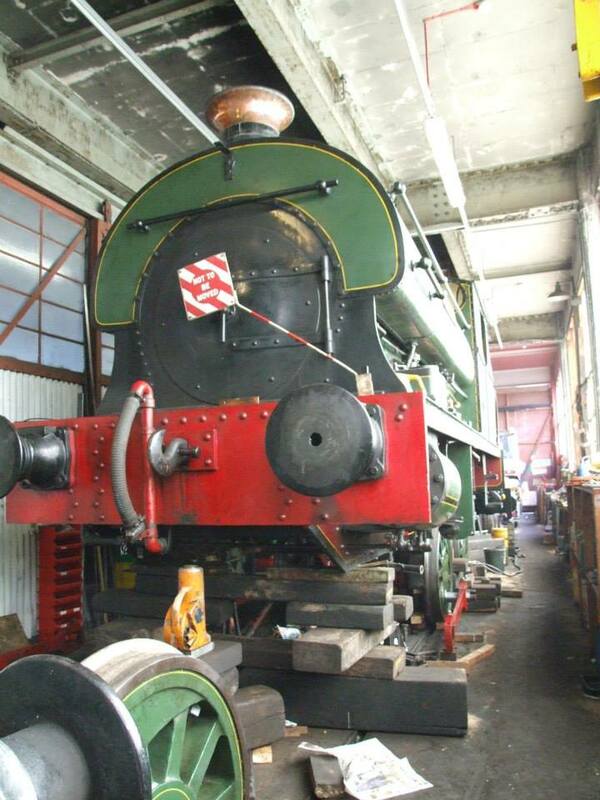 In July 2014, she was withdrawn once more, and will be dismantled to allow her boiler to be inspected. Avonside No. 1764 ‘Portbury’ was built in 1917 for the war effort, destined to work at the Portbury shipyards. The end of the war in 1918 meant the shipyard never actually built a vessel. 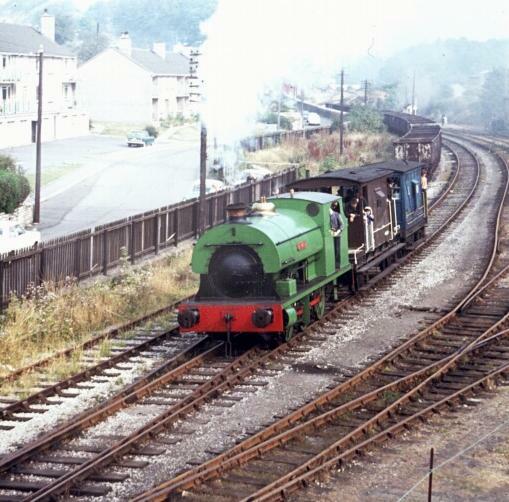 She eventually moved into the fleet of shunters based in Avonmouth and worked there until replaced by diesels. Here are a few photos from across the internet of her life in preservation. 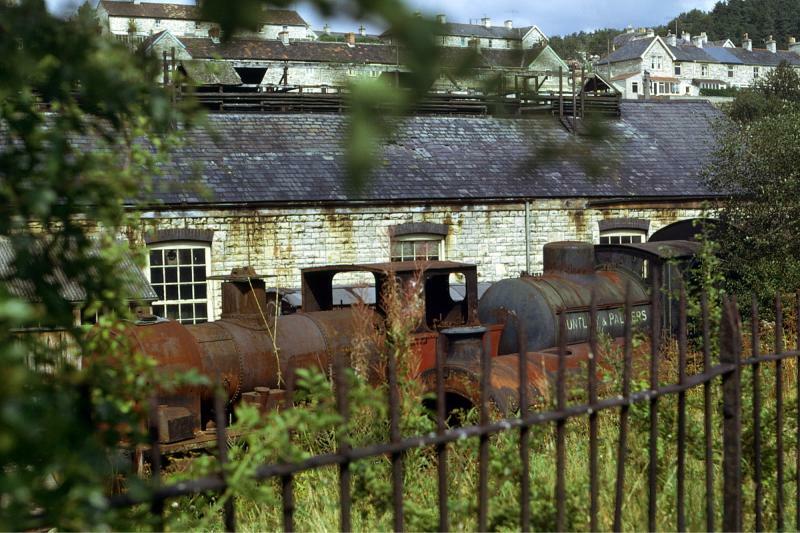 In the early 1970s, all three of the BHR’s steam locomotives were to be found at Radstock station in Somerset. 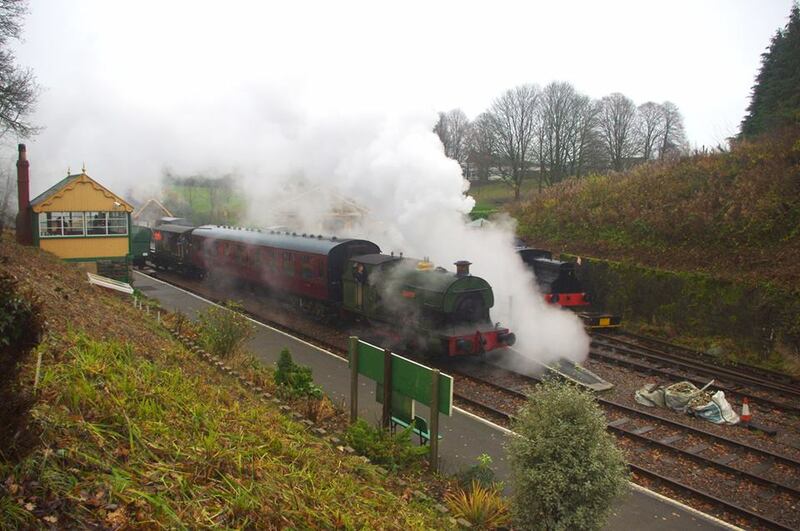 This was part of a preservation effort to save and operate a section of the Somerset and Dorset Railway. Here she is outside the shed, looking rather forlorn. 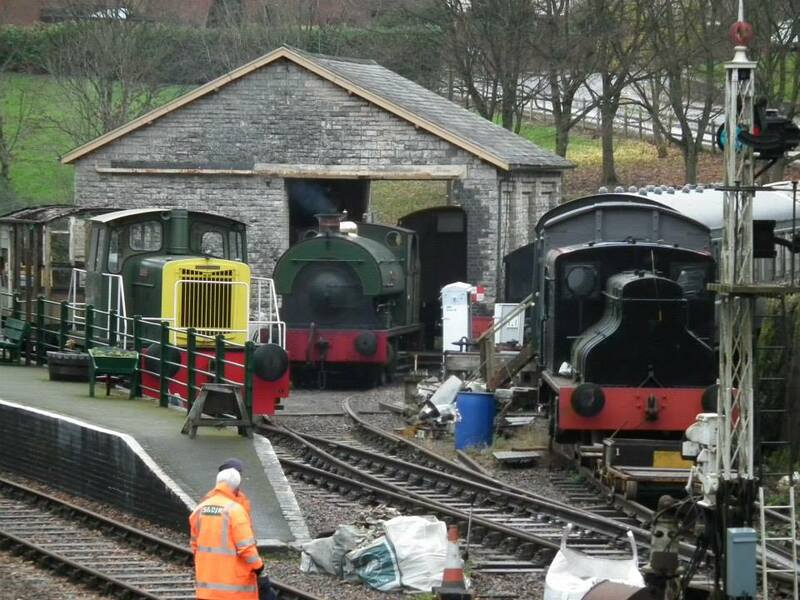 Unfortunately, the project at Radstock was unsuccessful and the Somerset and Dorset Railway Heritage Trust relocated to Washford on the West Somerset Railway. ‘Henbury’, ‘Portbury’ and No. 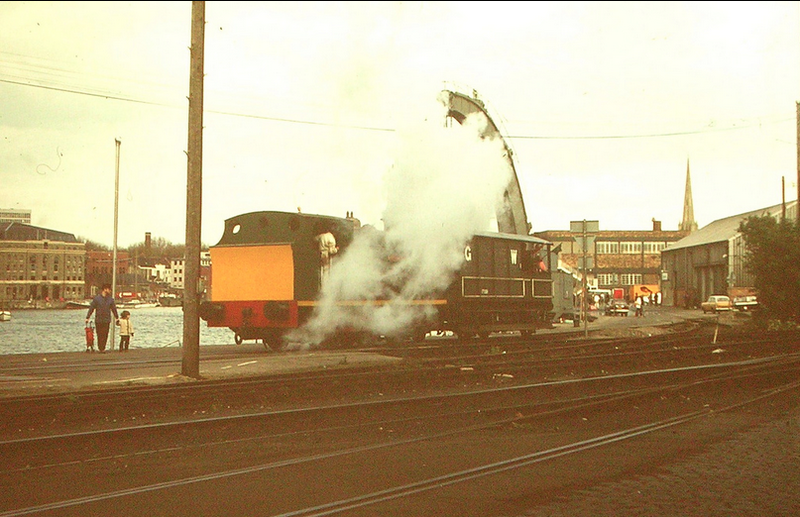 242 found their way to the Bristol Harbour Railway, opened in 1978. 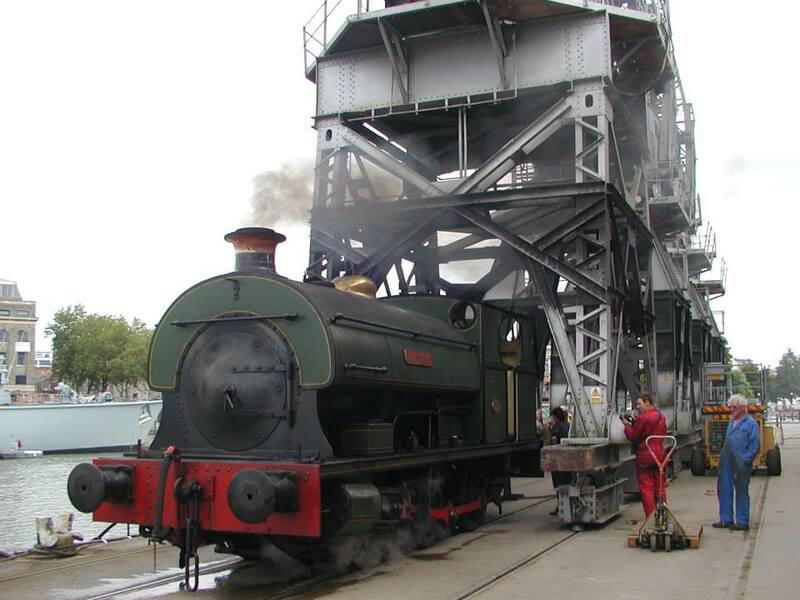 ‘Portbury’s restoration was completed in Bristol and she was in brought into operation on the BHR. 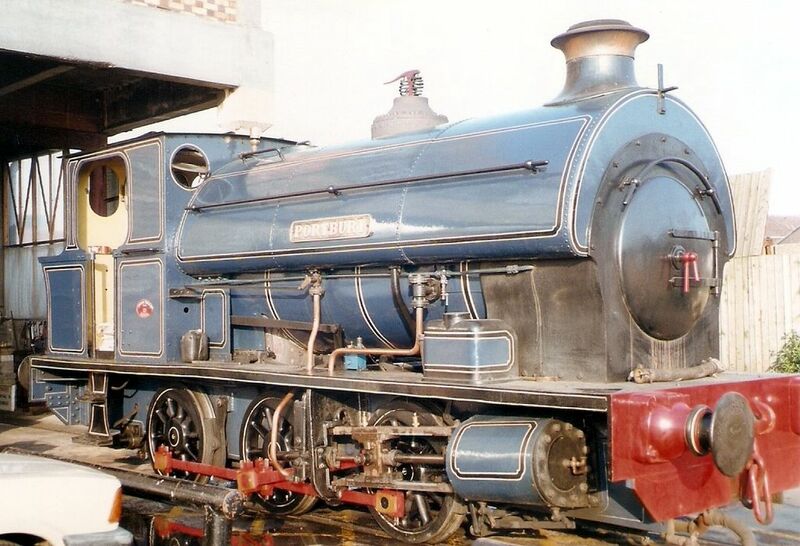 Here she is in lined blue livery back in 1992. After another overhaul, she emerged in 2001 in a livery akin to the one she first wore, the initials ‘I W & D’ stand for ‘Inland Waterways and Docks’. Now, in 2013, this livery has been adapted to more accurately represent her 1917 condition – note the lack of nameplate (She was not named ‘Portbury’ until her time at Avonmouth Docks) and the black wheels.